Please type your desired tags, e.g. Political Science, Development, Pathobiology, Emerging Media Art, Medicinal, Materials Science and Engineering, Functional Genomics, Transcriptional Regulation, Enhancer Mechanisms, Communication Theory, Organizations, Strategy and International Management, Health Policy, Motherhood & Reproduction, Creative Writing, Higher education, and etc. Mathematical modeling of electromagnetic phenomena; microwave theory and design, radar system and antenna analysis; radar cross-section measurements; tomographic imaging (microwave and acoustic), electro-optical system design and modeling, information analysis (Wavelet and Fourier Processes). Development of technology transitioning packages, including organization of technology value added processes, development of funding models for technology enhancement, and the implementation of customer interface models. Vice President Technology, Clean Earth Technologies, LLC, June 2002 – May 2004. Head, Long Wavelength Imaging Laboratory, STAR Center, HARC, June 1989-1990. Associate Director, Wave Scattering Research Center, College of Engineering, University of Texas at Arlington, September 1984-1988. Associate Research Engineer, Texas Engineering Experiment Station, June 1979 - 1989. Engineering Research Associate, Remote Sensing Center, Texas A&M University, 1975 - 1977. Research Assistant, Remote Sensing Center, Texas A&M University, 1973 - 1975. 2003–2003	Blanchard, A. J., Cai, J., Morgan, R., Golden, J., Science and Technology Conference, Fort Leonard Wood, Missouri; August 19-21, 2003 ((Invited Technical Presentation). 2003–2003	Blanchard, A. J., Morgan, R., Golden, J, Proceedings of the IGARSS, Toulouse, France; July 20-25.2003. Elected Honorary Life Member of the IEEE Geoscience and Remote Sensing Society (GRS-S), November 2007. 1985 C. Holmes MacDonald Award, Presented by the National Eta Kappa Nu Association to the Outstanding Electrical Engineering Professor in the United States of America. 1985 UTA College of Engineering Citation, given in recognition of outstanding contributions to engineering education by the graduating seniors. Vice Provost Andrew Blanchard has been appointed UT Dallas’ vice president for Information Resources (IR) and chief information officer. Blanchard’s appointment became effective Sept. 1, ending his service as IR’s interim vice president, which began in May. Reporting to President Daniel, Blanchard will be responsible for the overall leadership of the Information Resourcesfunction and staff. Offices within the business unit include architecture and infrastructure services, enterprise application services,networking and telecommunication services, and technology customer service. 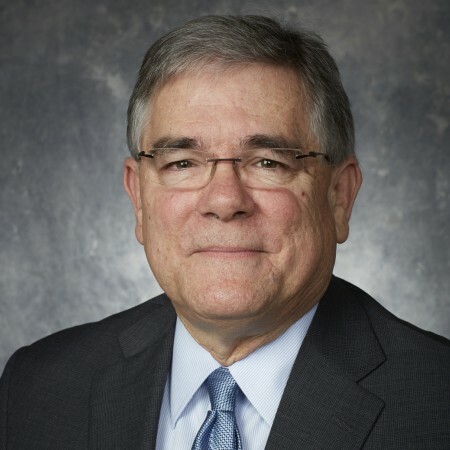 Blanchard also will serve as the University’s lead for matters related to the PeopleSoft business system implementation and shared services initiatives. Blanchard joined the University in 2001, serving as professor of electrical engineering and senior associate dean of the Erik Jonsson School of Engineering and Computer Science. Since becoming a vice provost in 2008, Blanchard has provided guidance to the academic programs in curricular and faculty development. He also has worked closely with the Office of Research to promote the University’s expanding research agenda. Co-General Chairman, International Geoscience & Remote Sensing Symposium 2000 (IGARSS 2000, 20th Anniversary of the IGARSS Symposia), sponsored by IEEE Geoscience & Remote Sensing Society. General Chairman, 1992 International Geoscience & Remote Sensing Symposium (IGARSS '92) sponsored by IEEE Geoscience & Remote Sensing Society, May 25-29, 1992. 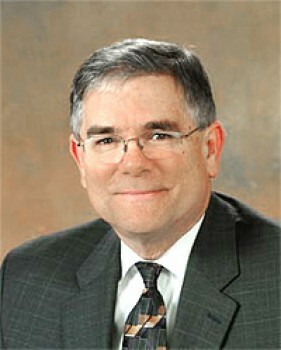 Vice President; Conferences and Symposia, IEEE GRS Society, 2003 - 2004. Vice President; Operations, IEEE GRS Society, 2002 - 2003. Director of Strategic Planning, IEEE Geoscience and Remote Sensing Society, 1996-to date. Member of the TPC, IGARSS 08, Theme coordinator Educational activities in Remote Sensing, and Policy Issues in Remote Sensing, Boston, MA. Member of the TPC, IGARSS 07, Theme coordinator Educational activities in Remote Sensing, and Policy Issues in Remote Sensing, Barcelona, Spain. Members of the TPC IGARSS 05, 2004-2005, Sessions organizer Remote Sensing Applications theme area, Session Chairman, Urban Applications. Member, IEEE/AESS Radar Systems Panel, 1991 - 1995. Juror, The President's Council, ENSICA University, Toulouse, France., June 1992.